It’s important to make sure your commercial building has all the appropriate plumbing to avoid future problems. 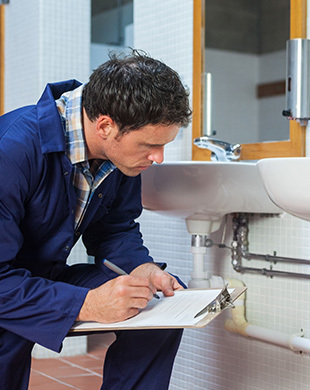 At Bruesewitz Plumbing, Inc., we take care of all your necessary plumbing services so you have one less thing to worry about. You can trust all work is being done by experienced professionals. Whether you need maintenance or remodeling service on your existing building or you’re constructing a new commercial building, Bruesewitz Plumbing of Burlington, WI is your trusted, local source for plumbing installations. If you have a plumbing emergency, contact us 24/7 and we’ll give you fast and efficient service to have your facilities up and running again.